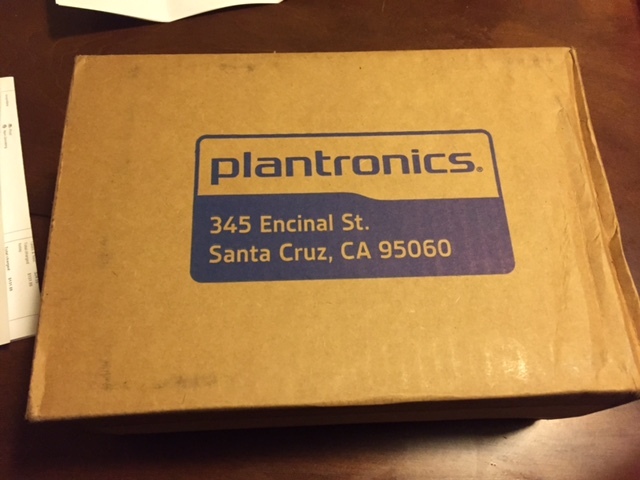 Disclaimer: I received a free pair of Plantronics Wireless Headset as part of being a BibRave Pro. Learn more about becoming a BibRave Pro (ambassador), and check out BibRave.com to review find and write race reviews! I enjoyed the fact that these are wireless headsets. 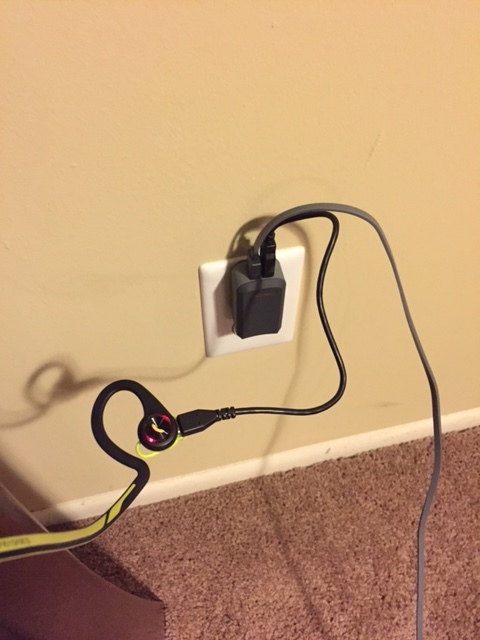 It goes without saying that fumbling around with a cord can be annoying sometimes. But being able to put your phone wherever you want without worrying about the cord makes things a lot easier for me. Lately I have been running with a hydration vest and what happens is I have to find a place to tuck the cord into the vest. No issues with these headphones. There are two buttons on each sides of the ear buds. One allows you to pause music. The other allows you to pick up calls. The armband. This is by far one of the bast armbands I have seen to date. 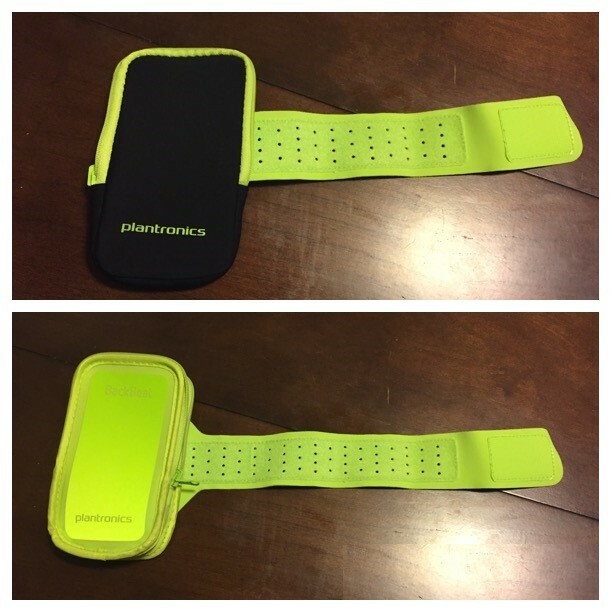 Not only does my iPhone 6 and the otterbox cover fit in it, the armband also flips inside out and can be used as a carrier. The armband is a little thicker than most normal armbands so if you ever bring your ID, credit cards, money, etc. with you on a run you will have a place to fit it. Sound/ Phone quality. The sound on these earbuds were very good. I heard the music loud and clear with no issues. At one point I got a call while wearing them and took the call (this wasn’t during one of my races). I heard the person loud and clear and it seemed like the person on the other end heard me just fine. The headphones promote having a built in mic. I wasn’t sure of this so I kept my phone close during the call, but there were times I walked away from the call and the person had no issues hearing me. A woman’s voice tells you when they are connected. This isn’t a huge make or break for me, but it was nice to know they were working and connected. These are the opinions I have on the headphones that are neither positive or negative. Just observations I made about them. Charging time. Since they are wireless they need to be charged. I ran the 8.5 mile race with a full charge. The earphones made it through the entire 8.5 miles (roughly 1:45 minutes) with no problem. However by the time I used them for the 5K about 4 hours later the woman’s voice said the battery was low. I am not sure if they stayed on during the 4 hours between races or not, but I found it interesting that after less than 2 hours of use the batteries would be low. However the headphones made it through the 5K with no issue (33 minutes). Charging cord. The cord to charge the phones is small. I don’t see this as a good or bad thing because really it doesn’t matter. Since you wont be using them while they are charging what does it matter how long the cord is? For me the only thing that mattered was finding a place to sit them while they charged. In the picture below I pulled a chair over, but without that they would have just hung from the wall. (They are lit up red while charging and turn blue when fully charged). To my knowledge, I do not see a way to adjust the volume. What I enjoy about my normal headphones is a volume controller on the cord. These are cordless so I understand why that option is not available. However some songs of mine are louder than others and I like the chance to turn down the volume without fumbling for my phone. Loose fit. 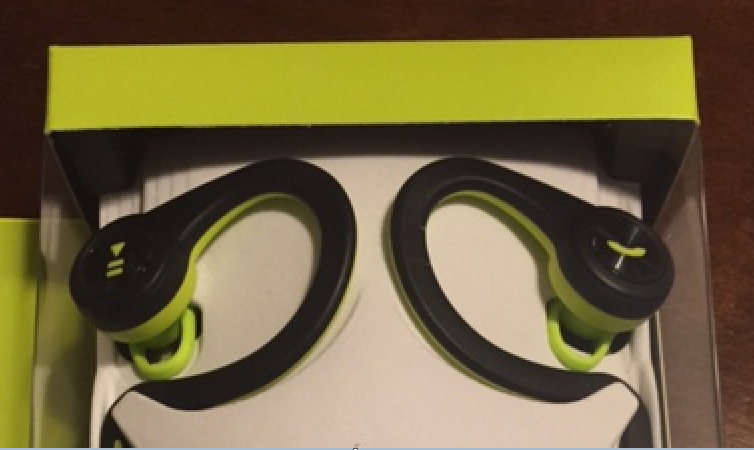 It wasn’t until my second race that I realized there is a little piece of plastic inside the ear bud that makes these fit snug to your ear. During my first run I found them to be pretty more loose than I would have liked. During the second run the left ear bud fit very snug, however the right one would not. Maybe I need to give this another try as I was trying to adjust it mid run. This could have been user error but it was my experience with them. I will say that my overall reaction is that yes I would recommend these headphones. Anytime I am reviewing a product, I like to think “would I spend the money on this product?”. Let’s face it some products are really nice but have a high price tag. And in other cases the price for something can be so low that the risk is worth it. So for me to make a recommendation on these earbuds I need to look at the price as they compare to others in the market. I also need to compare them against what I know. There is no sense in me comparing these to another competitor if I have never used the competitors product before. For me I normally run in Bose SoundSport Headphones. They aren’t cordless so it isn’t a complete apples to apples comparison, but outside of the cord the difference between the two is minimal. From a price standpoint these two are virtually the same (Bose being $149 and Plantronics being $129). 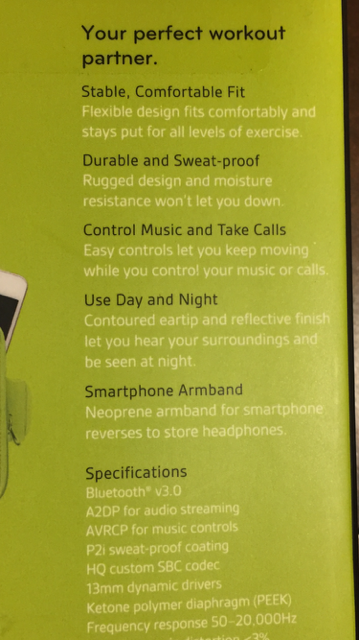 For me what really makes these headphones worth it is the armband. Yes the headphones themselves are very good but the armband is worth it because I would personally buy that separately. At $129 I would buy the headphones alone, but when they throw in the armband it makes it that much more worth it. I have spent on average $20 for an armband, so using that math the headphones by themselves would be closer to $100. So the fact that I am getting an armband that is of high quality along with headphones at a reasonable price makes this product worth the purchase. 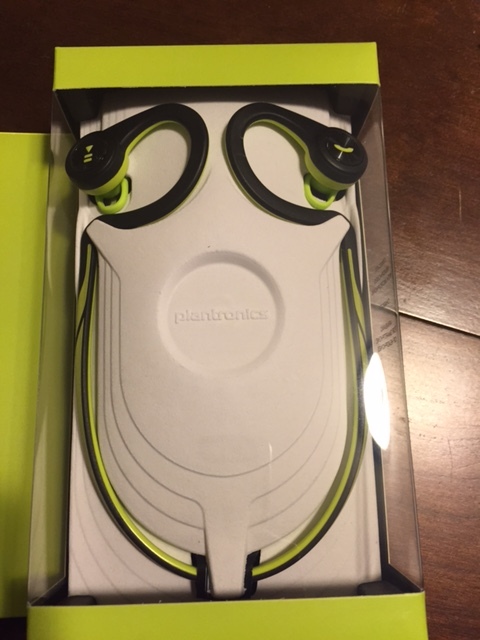 Have you ever run in wireless headphones before? Have you enjoyed it or need the safety of the cord? July 30, 2015 in Product Reviews. Have You Checked Out BibRave? ← FREE Boot Camp – This Saturday!